So, I guess my first real celebrity crush would be Kyo from the band Dir En Grey. I think that's the first time I had a big time crush on someone. 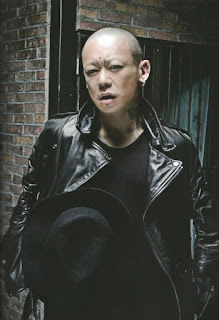 I liked his band, and the lyrics in all their songs especially Mushi, but now I'm like "What girl doesn't like him" lol. I loved them live though, they were really amazing.